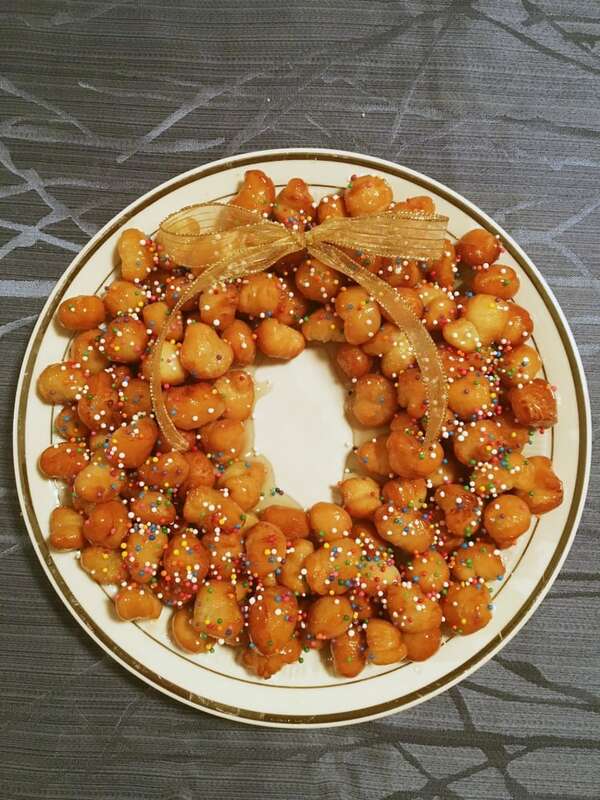 Sabrina Degni makes this simple Italian dessert every year: fried balls of dough, covered with honey and sprinkles. We asked the bakers for their favourite holiday recipe. 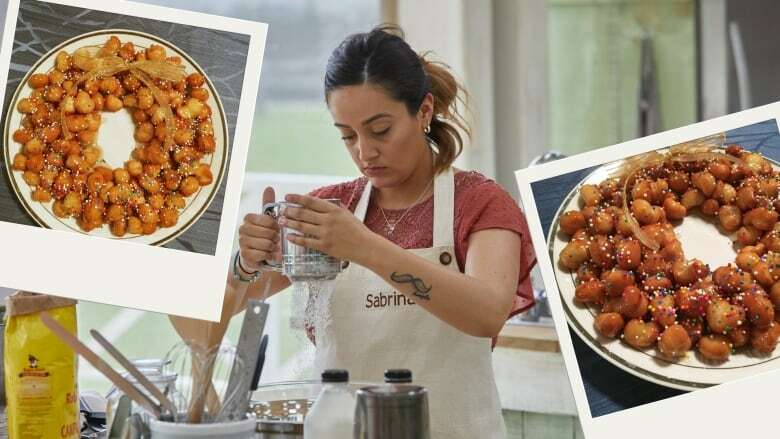 Every year, Sabrina's family asks her for struffoli. During the holidays, struffolli is a must for my family. It's an Italian dish made up of fried dough balls, covered in honey and sprinkles. As simple as it sounds, my family always requests this dessert! Whisk together the flour, lemon zest, orange zest, sugar, salt and baking powder. In a food processor, mix the dry ingredients with butter. Blend until the mixture looks coarse. Add the eggs and vanilla extract. Mix until it all comes together. Cover the dough and place in the refrigerator for 30 minutes. After 30 minutes, roll the dough into thick cords (a quarter of an inch thick). Cut the dough into half-inch portions and roll each into a small ball. Each ball should be the size of a hazelnut. In a saucepan, heat oil over medium heat until a thermometer reaches 375°F. Fry the dough balls in batches, for about two to three minutes. Dough balls should be a light golden brown. Once fried, place the dough balls on a plate lined with paper towels. Heat honey over medium heat. Once it's warmed, place dough balls in the honey and coat them (be very gentle). Once covered in honey, place the dough balls in a wreath shape on a serving plate. Once placed, pour the remaining honey over top and add sprinkles (as much as you'd like! ).